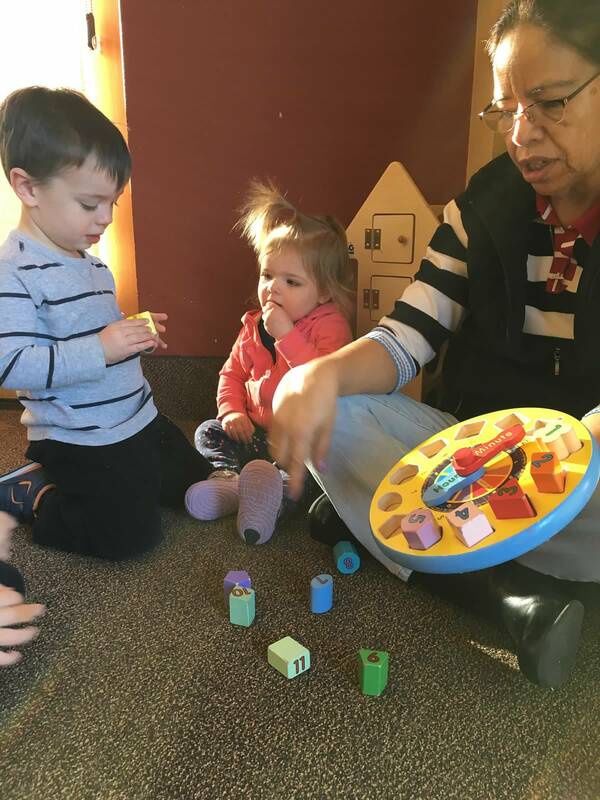 The infant community offers space for the young child to naturally move from a physical/emotional stage of development to the more cognitive phase of learning. Through movement and exploration, the child is exposed to a broader world where parallel play becomes interactive play, where words become tools to communicate needs and desires, and where the boundaries of possibility expand alongside the developing mind. This classroom provides activities that teach the care of oneself and the environment, foster gross and fine motor skills and provide structure and organization for pre-academic learning. The most vital component of the class is the dynamic social and linguistic experiences where each child is immersed into the more ordered world of communication and learning. A primary focus of the Infant Community is to instill self-confidence through support of the child’s innate curiosity while maintaining a keen balance with the developing skills required for respectful social interactions. This is a stage of rapid development of the child. Our staff is committed to supporting and guiding this in the most loving, respectful and professional manner possible.